Nokia’s comeback has been the talk of the town recently. Ever since HMD Global announced the Nokia 6, Nokia 5 and Nokia 3 at MWC 2017 back in February, fans have been clamouring to get their hands on the devices. The wait is now finally coming to an end as HMD Global is set to launch the three Android powered smartphones in India tomorrow. The three smartphones are one of the most hotly anticipated handsets of the year and rightly so as they mark the comeback of the once iconic Nokia brand in India. A few weeks ago, HMD Global had launched the new Nokia 3310 in India, a re-incarnation of the legendary Nokia 3310 for Rs 3310. All three Nokia smartphones are set to come with 100 percent stock Android out of the box and the promise of timely updates. This is the differentiating factor that will set the three smartphones apart from the crowd. In fact, HMD Global has already confirmed that the smartphones will be updated to Android O as and when it becomes available. The Nokia 6 is the top of the line model in the line-up an features a 5.5-inch fullHD display with Gorilla Glass 3 on top, the Snapdragon 430 processor, 3GB of RAM, a 3,000mAh battery, a fingerprint sensor and 32GB of internal storage which can be expanded via a microSD card (of up to 256GB). On the imaging front, the smartphone comes with a 16MP rear camera with phase detection auto focus alongside an 8MP camera at the front. Nokia 6 price in India will be between Rs. 15,000 and Rs. 16,000. 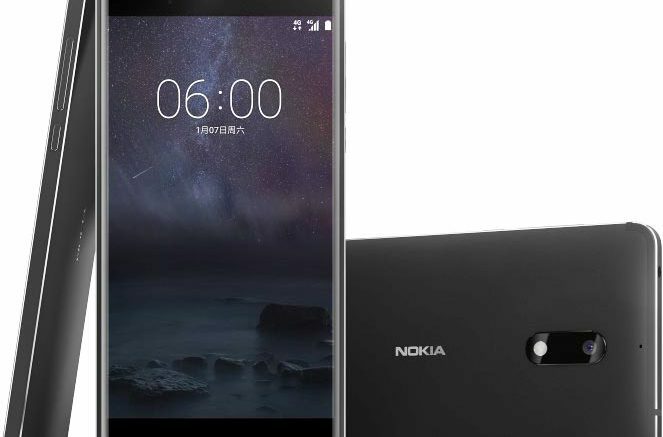 The Nokia 5 slots in the middle of the line-up and comes with a 5.2-inch 720p HD display with Gorilla Glass on top, the same Snapdragon 430 processor, 2GB of RAM, a 3,000mAh battery, a fingerprint sensor and 16GB of internal storage which can be expanded via a microSD card (of up to 256GB). The smartphone features a 13MP rear camera with phase detection autofocus and an 8MP front shooter. The Nokia 5 likely to cost around Rs. 12,000. The Nokia 3 is a budget smartphone that comes with a 5.0-inch 720p display, the MediaTek MT6737 processor, 2GB of RAM, a 3,650mAh battery and 16GB of internal storage which can be expanded via a microSD card (of up to 256GB). On the imaging front, the device comes with an 8MP primary camera alongside an 8MP front shooter. The Nokia 3, cheapest of the three, is expected to cost about Rs. 9,000. There is also a special ARTE black version of the Nokia 6 which comes with 4GB of RAM and 64GB of internal storage for 299 Euros (approximately Rs 21,000). It is unknown at the moment if this special version will be launched in India. 1 Comment on "Features and Price of Nokia 6, Nokia 5, Nokia 3: India Launch on Tuesday"
Nokia is a good mobile.